Months after a Texas teenager was diagnosed with cancer, state authorities have finally decided to let her return home to her family after a long legal battle in which Texas officials – not the girl's parents – attempted to determine the course of treatment for her disease. 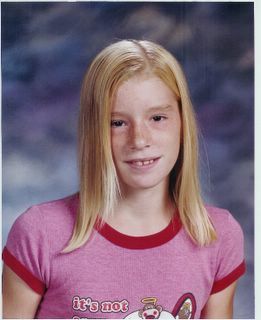 Thirteen-year-old Katie Wernecke was diagnosed with Hodgkin's disease, a cancer of the lymph nodes, in January 2005. The teenager underwent chemotherapy after being taken to the emergency room with what her parents had suspected was pneumonia, and doctors recommended she also receive radiation treatments. However, Katie's parents, Michelle and Edward Wernecke, refused the treatments for fear it could cause complications such as an increased risk of breast cancer, learning problems or stunted physical growth. That's when Texas authorities intervened, making private matters public in a way that many feel violated parental rights as well as principles of health freedom. In what amounted to an attempt to force the Werneckes to submit their daughter to radiation treatments, officials with Texas' Child Protective Services took Katie away from her parents in June, after receiving a tip that Katie and her mother were hiding out at a family ranch in order to avoid the radiation that doctors claimed she needed to survive. Authorities promptly took Katie into custody and arrested her mother on charges of interfering with child custody. Although Michelle Wernecke was released on $50,000 bond shortly after her arrest, she returned home to find her family in shambles. The state had – in effect – kidnapped her daughter, placed her three sons in a foster home and labeled her and her husband neglectful parents, even though they were only trying to protect their daughter from conventional medicine's harsh cancer treatments. Thus began a long and difficult struggle for the family that received national attention and raised significant questions about medical freedom and parental rights. On a June 9 episode of NBC's Today show, Michele Wernecke said of her daughter: "I think they should treat her for what her body calls for and not for standard protocol. Nobody will look at that. Not every cancer is the same. Nobody understands that. Her body is not standard, and her cancer is not standard." A videotaped statement, recorded by Katie's parents, shows the girl saying, "I don't need radiation treatment. And nobody asked me what I wanted. It's my body." On Oct. 21, Texas District Judge Jack Hunter ruled that the Werneckes would be allowed, as they had hoped, to take Katie to Kansas for a consultation with a physician on alternative intravenous vitamin C treatments. However, the judge also ruled that, before her parents could pursue the alternative treatment, Katie must first receive five days of traditional chemotherapy at the University of Texas' M.D. Anderson Cancer Center in Houston. This once again thwarted her parents' efforts to protect their daughter from treatments they fear will result in side effects that are more harmful than her actual disease. Throughout the Werneckes' battle with CPS and the Texas legal system, the family has maintained a blog dedicated to their daughter and her condition at http://prayforkatie.blogspot.com. There, they post news articles, charity information, letters and prayers from people concerned for Katie and disturbed by the drastic actions taken by Texas officials to keep her out of her parents' care. An Oct. 23 post on the site reads, "Katie has been left all alone in M.D. Anderson undergoing this fourth round of chemotherapy. CPS has not allowed the parents to be present in the hospital during this treatment. I don't have the right words and enough words to express how awful I feel about that. It is unbelievably cruel and just sickening that Katie would have to suffer through that ordeal all alone with no parent beside her. That is emotional abuse and child abuse on the part of CPS." Although the Werneckes have stuck to their beliefs about what they feel is best for their daughter's health, they have been continuously met by the threats and scare tactics used by CPS. As a result, their daughter has not only suffered through treatment she does not want – and arguably does not need – but she has done so without her parents comfort and support. On Oct. 31, Judge Hunter finally ruled that Katie should be returned to her family, saying, "CPS and the Werneckes are never, ever going to agree," according to the New York Times. Katie will be allowed to go home after a round of chemotherapy in Houston, but what course her treatment will take after that is unknown. However, her father said at Monday's hearing that the family "wanted to try other treatments for Katie before considering radiation as a last resort," the New York Times reported. The good news is, Katie will be able to return to her family and receive their love and support, but the decision seems long overdue. The Werneckes' situation over the past months is a prime example of how modern medicine has gotten out of control in this country. It seems we now live in a terrifying world where medical professionals are able to enlist the help of government agencies in order to force people into medical treatments that can actually pose significant health dangers. It is a climate in which diagnosis and medical treatment may be accompanied by threats and legal action for those who dare to select an alternative path of healing for themselves or their loved ones. It is an atmosphere in which parents can actually lose their sick children to the system of modern conventional medicine. A disease like cancer is traumatic enough; it does not need to be complicated with the stresses of custody battles and legal threats. What a child really needs when suffering through something as daunting as cancer is her parents. The Werneckes may have been fighting to block the treatment of their daughter with conventional cancer treatments that can cause severe health problems, but Texas authorities, in the past months, were playing a much more dangerous game by fighting to remove Katie from the love and support of her parents, which is some of the best medicine. The events reported in this story are true. If you thought you lived in a "free" society, think again. Right now, under the direct supervision of misguided oncologists and Big Pharma drug pushers, your children can be kidnapped at gunpoint (by the "authorities"), dragged into medical facilities, and poisoned with radiation and chemotherapy, all under the orders of a court judge. And after all that's done, by the way, they'll send you the medical bills. With this demonstration of grossly misplaced authority, organized medicine is no longer merely an outdated system of dangerous treatments, it is a direct threat to the fundamental freedoms of individuals, families and children. With forced vaccination programs that inject mercury into our childrens' bodies, the overdosing of our nation's youth with psychiatric drugs, and now forced radiation poisoning of teenage girls, the U.S. medical system has become the most cruel and harmful system of health care in the world. Under what possible system of "healing" would a family be broken apart, arrested, kidnapped, and the parents be denied access to the bedside of their daughter as life-threatening chemical toxins are being dripped into her veins under the orders of medical "authorities?" By what insane justification can this be called a system of health care? The answer is that this is not a system of health care at all, folks. It's a system of control. How do you control a population? Drug them, from cradle to grave. Keep 'em in a mental haze. Bewilder them with television images. Bankrupt them with medical bills. And if they don't comply, arrest them at gunpoint and terrorize their family to set an example. I call it state-sponsored medical terrorism. In this case, the state is Texas. Personally, I think that in a just society, the Texas Child Protective Services personnel would be arrested and charged with kidnapping, and the oncologists who took part in this cancer conspiracy would be tried in an international court for crimes against humanity. Is it not a crime to inject a child with deadly chemicals against her will and against her parents' will? If I loaded a syringe with the exact same chemicals used on this girl, and injected them into your arm without your permission, I'd be (rightly) charged with attempted murder. Don't stand for this. Spread the word. Forward this article. Support the Wernecke family's battle against organized medicine. If we don't stand up to this, then we surrender any semblance of health freedom left in this country. Let the Texas CPS and health authorities know that we, the free-thinking citizens of this nation, won't stand by idly while our children are taken from us and chemically assaulted by men who lead a dangerous, for-profit industry of so-called cancer "treatments." This madness must be stopped.